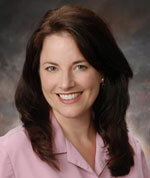 Dr. Maureen O’Connor is registered on the National Registry of Certified Medical Examiners. All commercial drivers must be examined by a medical professional listed on the National Registry of Certified Medical Examiners. Only medical examiners that have completed training and successfully passed a test on the Federal Motor Carrier Safety Administration’s physical qualification standards will be listed on the National Registry. The cost of the DOT exam is $80.00, payable at the time of service. Click DOT Physicals for forms related to physicals. We use the Thompson and Pierce adjusting techniques to “unlock” or move misplaced vertebra from improper positions, and allow them to shift back into normal alignment. When the vertebrae are allowed to return to their proper alignment, the nerve flow can resume its normal course and the body’s innate intelligence brings improved health. Lumbar traction can relieve pressure on compressed nerves, help muscles relax and reduce muscle spasms. Traction increases the space between vertebrae – reducing pressure on intervertebral discs and nerve roots. A split table is used to separate forces between the upper and lower body. Cycles of tension and rest open the vertebrae to help heal discs and give nerves more room to work well. We custom fit orthotics, which fit inside shoes to help support the body’s frame better as you walk. Your spine is one link in a “chain,” with your feet as the base. Lack of stability in the foundation can lead to distortions and a muscular stretching all the way up the spine. With foot pronation and the associated collapse of the arches in one or both of your feet, the base point of your body’s center of gravity shifts. This can lead to pain and stiffness over time. Orthotics combined with adjustments can relieve these symptoms. Ultrasound therapy uses high-energy sound waves (those above the range we hear) to help ease painful joints and muscles. Ultrasound treatment is done by a technician who guides the waves into the body from the head of a ultrasound machine. IFC (Interferential Current Therapy) crosses two electrical media, using independent frequencies that work together to effectively stimulate large impulse fibers. These frequencies interfere with the transmission of pain messages at the spinal cord level. Because of the frequency, the IFC waves meet low impedance when crossing the skin to enter the underlying tissue. This deep tissue penetration can be adjusted to stimulate nerve fibers for increased blood flow. Laser therapy, also known as phototherapy and low level laser therapy, involves the application of light to injuries and lesions to stimulate healing and reduce pain. It is used to increase the speed, quality and strength of tissue repair, resolve inflammation and give pain relief. Laser therapy is a complete system of treating muscle, tendon, ligament, connective tissue, bone, nerve and skin tissues in a non-invasive, drug-free way. We hope you will be an active participant in regaining your best health. We can train you in exercises to strengthen weak areas and speed along progress toward improved health. Injuries arise from a whole range of ergonomic issues, whether you lift heavy loads or sit for long periods. We help you understand how to pace your work day and set up your work environment for good joint health.